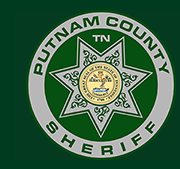 Below is from the news release from the Putnam County Sheriff Department. deceased in the vehicle at Walmart as Philippe Ceverain, a 47-year-old male from Haiti. Mr. Ceverain had been in the country for an extended time on a work-related visa. He was reported missing by a co- worker after he failed to show up for work for several days. Ceverain was homeless and is believed to have been living out of his vehicle. A preliminary report from the Medical Examiner’s Office revealed that Mr. Ceverain appeared to die of health-related issues.